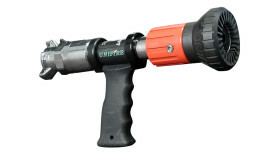 The World Famous V-Nozzle comes in a variety of capacities – V10, V12, V14, V16, V18 & V20. Chrome plated brass. Ideal for firefighting and professional industrial uses. DNV Certified & manufactured at ISO 9001:2008 & 14001:2004 Certified Facilities. 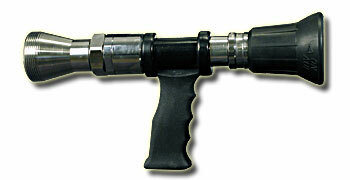 The World Famous V-Nozzle with heavy duty pistol grip comes in a variety of capacities – V10, V12, V14, V16, V18 & V20. Chrome plated brass. Ideal for firefighting and professional industrial uses. DNV Certified & manufactured at ISO 9001:2008 & 14001:2004 Certified Facilities. 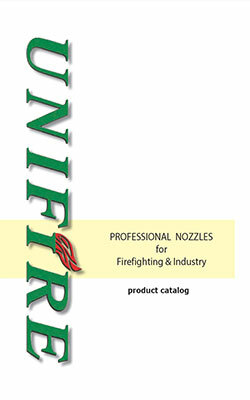 The Unifighters are professional nozzles for fire fighting & industrial use. They deliver a constant flow regardless of fog angle. Available in short or long version with any thread connection 1/2” to 2” BSP or with any hosetail connection. 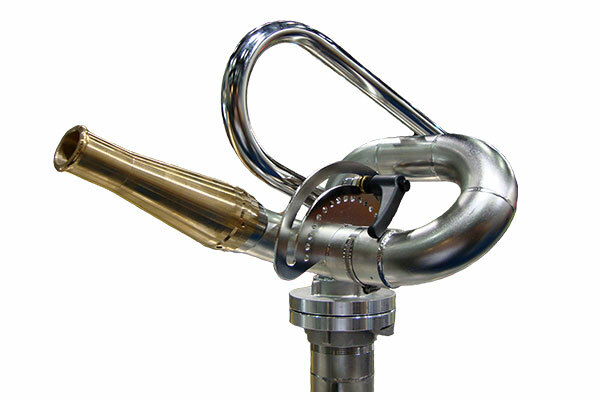 Professional firefighting nozzle that puts safety of the operator in focus. Generates a wide, full & effective protecting fog screen immediately when opened. A minimum of moving parts means maximum reliability. Ideal for ACTION- technique extin-guishing. Moving parts are not affected by the water pressure. Fire fighting nozzle with fog or jet. Supplies multiple setting choices, merely selected by twisting the nozzle head. Twist the nozzle head to select flow and fog angle. Shut off › Mini Jet › Protecting screen › Long range fog › 300 lpm Jet › 150 lpm Jet. 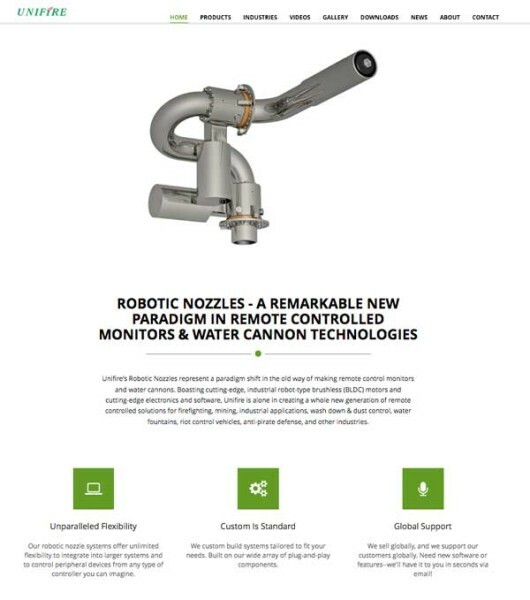 Did you know that Unifire also manufactures the world’s most advanced robotic nozzles, also known as remote control monitors and water cannons? 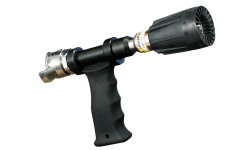 Click the image below to visit RoboticNozzles.com to learn all about our robotic nozzle solutions and the industries they serve, including fire fighting, fountains, mining, dust suppression, wash-down applications, anti-pirate water cannons, riot control and non-lethal defense applications, and more. You can also click the link at the bottom of our site called “Industries” to see all the industry web sites for our line of robotic nozzles and remote controlled monitor solutions.